Whether you’re launching a fitness or nutrition challenge, an integration into your wellness program, a value-add service for your tenants, employees, members; etc., there’s no cost to your organization unless arranged otherwise. Employees and members elect our services and pay-out-of-pocket a $49 standard rate at 30% of the national $150 average; we accept FSA and HSA cards as well. We simply need a place to park and your assistance with spreading the word. We just need your help notifying your employees or members about the on-site date so they can book their appointment online, in advance. We have a 5 appointment per hour capacity. We arrive on-site (1) hour in advance. We can supply COIs, endorsements, and/or AIs when needed. We generally look for a 10 person commitment. Average time on-site is 4 hours. We do full days, half days, early mornings, mornings, evenings, and weekends. We’re reasonably flexible and here to help. Aggregated data and reporting is available for wellness and corporate wellness integrations. We support many fitness and nutrition challenges and happy to support yours! Employee Elective | most engagements are structured as an employee elective, meaning there is no cost to the organization; employees elect to participate and pay out of pocket. Private Events or Company Sponsored | private events are available but we generally move to an hourly billing rate (request more information). In other instances, some companies would like to pay for a partial event or an all of their employees in which we have options and flexibility for – let us know what you need. Some corporations are private, some are open to the public. It really just depends on the specific requirements which we determine on a case-by-case basis. The vast majority of our gym and health club events are open to the public to help maximize capacity. However, they can be private events and we will customize the engagement based on your specific needs. Other than a whole body MRI, a DEXA scan is the only other comprehensive, accurate, and precise method of whole body composition quantification. It’s a 5-10 minute, fully clothed, head-to-toe full body scan that yields 50+ metrics including visceral fat and bone density. We use the GE Lunar Prodigy scanner, which is coined as the most thoroughly and scientifically validated method for body composition and bone density; it’s clinical-caliber and generally, a single DEXA scan will cost $150 – we only charge $49 and it tends to be popular with everyone. There’s no cost to you unless we structure it that way, in advance. Private events are billed hourly but your employees or members can always pay you. It’s simple and seamless. We don’t require much of your time other than letting everyone know we’ll be there. All appointments are easily booked online. We generally don’t require a service agreement or contract unless it’s a custom arrangement, structured in advance. We make it easy and seamless for you. Our mobile DEXA services are backed by popular demand. We operate at an 85% capacity across the board and 92% at most corporations. We’re one of maybe 5 operators in the nation. The detailed information provided by BodyComp provided valuable data and the results were eye-opening for several of the participants. The results helped to re-evaluate the best type of workouts and nutrition plans they should be following to see results that will improve their health. The team at BodyComp was easy to work with in coordinating the scan date. On the day of the scans they were well prepared, organized and the event went smoothly. 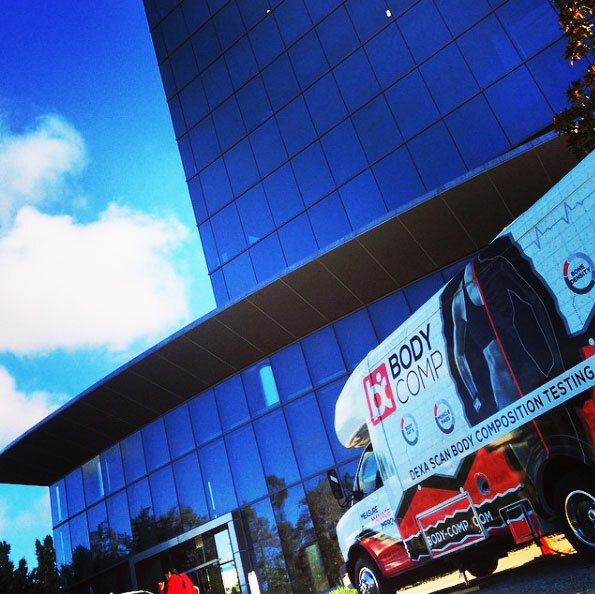 We are looking forward to having BodyComp back on-site for another round of scans soon! Body Comp is our new favorite vendor! We partnered with Body Comp for two of our 8-week challenges for before and after scans for our members. And we couldn't be happier. The entire team was very helpful and went above and beyond to ensure our members had a great experience. Body Comp handled everything, all we had to do was provide a parking space for the truck and let our members know they were coming. Our members loved how easy the process is (you just lie there!) and the level of detail provided in the reports. We look forward to working with Body Comp again on future challenges. Great experience, I am looking to lose fat, retain lean mass and overall be functionally fit and needed data to support a new dietary and fitness regimen. Not only was I able to discuss the DEXA and VOR test results with Seth, but I was able to dive into a variety of tweaks and suggestions to my overall health plan based on my unique results. Very competent staff, great experience, I look forward to future tests. What a great find and so happy that Yelp's star rating is so accurate with this business. The process of booking, paying, and following through with my dexa scan appointment was so easy. I literally made my profile yesterday and booked my appointment for this morning at 9:45am. If you're curious about your health status and enjoy numbers, graphs and of course self-improvement, I highly suggest getting your metrics checked out here! Travis was as kind as he was professional. He took his time and sent me an e-mail of my results that at my request were tailored considering my needs. I have an eating disorder and he was very professional but also very human about it. Really great experience. Highly recommend. This was a quick and enjoyable experience. I feel like I came away with vital information that will help me achieve my fitness goals. The staff was personable and professional. I highly recommend getting a scan done with this company. 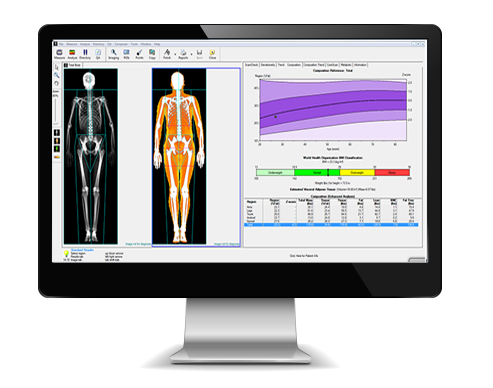 When it comes to measuring your body composition in fine detail, DEXA scanning takes it to another level. No calipers, guessing your body fat on the scale, or getting wet via hydrostatic testing. This precise way to check your results has created a shocking revelation in my fitness journey and I'm glad I got it. The body scan is awesome and so is the staff. I got my first scan to see what my nos. were. Based on that, I came up with a game plan. I got my 2nd scan today, and I've lost 10 lbs of fat and put on 10 lbs of muscle in 4 months! It all started with the scan. The scan breaks down all types of relevant nos. important to come up with your own plan. They offer the best price and flexibility for this scan, which is the most accurate that you can get. The information you get is more than worth it. Unfortunately, I got sick and was unable to participate. The owner, James, was the most professional, prompt, attentive, and customer focused representative. He kindly refunded the costs for my scan. He was also great about helping my husband schedule his scans. Hubster (a bit of a bio geek) thought the breakdown was really cool and loved the results BodyComp provided. I appreciated the communication and professionalism. The scans are super informative and definitely something you should order as a package (so you can track body changes and progress). We want to hear from you! Contact us or shoot us an email at support@body-comp.com | we can be difficult to reach by phone at times, sorry in advance, but our email support (during normal hours) is pretty quick. Thank you!